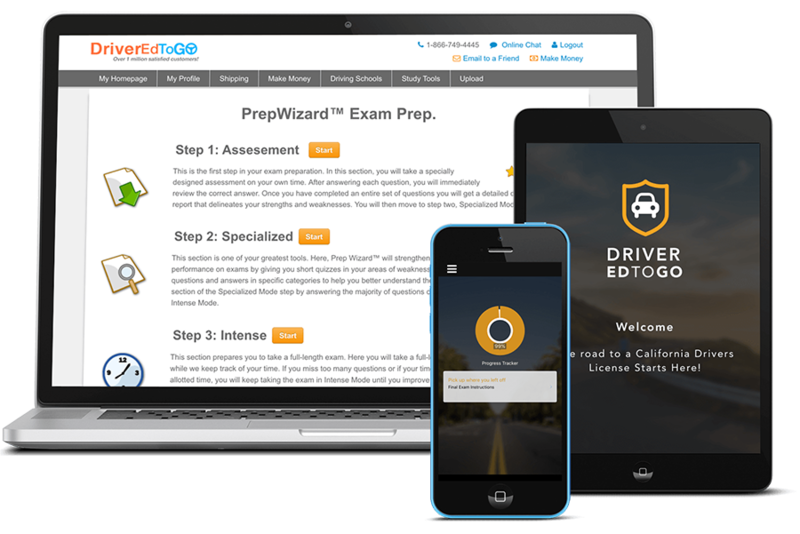 Welcome to DriverEdToGo.com, the most popular driver education course in Alaska. This online driver education course is not timed. The final exam is online and may be taken as many times as necessary until the student has scored 85% or better. After you complete the course, we will send you a certificate of completion; however, it will not satisfy your state’s permit or licensing requirements and is intended for your records only. The online driving site DriverEdToGo.com welcomes you to their popular driver education course within the state of Alaska. The entire course is available online and has all the essential content necessary to ensure you get your DMV learner’s permit. We commend you on beginning the process of earning your learner’s permit in Alaska or your first driver’s license. There is a specific program designed by the government for state teen drivers known as the Graduated Driver License Program. In order to apply to this course, there are a couple of things you need to be aware of. Even after submitting all these documents and making your payments, you will still need to pass a vision screening and pass a written exam. These are some of the aspects relating to Alaska online drivers ed and to be successful you simply need to pay attention and follow all the instructions. Congratulations to you if you were successful because you have now earned your Alaska instruction permit. However, in order to proceed with your driver’s practice, you will need to drive in the presence of a driver who has had a license for at least two years and is at least 20 years of age. This permit is valid for a maximum of only 18 months after which you will be expected to proceed through the graduated license program. To apply for this license, an applicant will need to meet the mandatory state requirements for this license before submitting an application to the local Bureau of Motor Vehicles. Once these are all fulfilled, you will need to head down to the local Bureau of Motor Vehicles and undertake the dreaded and loathed road test. Should you be successful in this test, then you will have earned your intermediary driver’s license which is quite an achievement. Even then, you will still drive under some restrictions until after your intermediary license has been in good standing for over 180 days. There are certain penalties and restrictions pertaining to the teen driver’s permit. One of these is prohibition against carrying family members unless you are accompanied by an adult 20 years or older with a driver’s license of good standing for at least 2 years. Driving is prohibited between 12 midnight and 5 am in the morning. You may also not use your cell phone as you drive. These restrictions will be in place for the next 180 days after which you will be free to apply for a license. These all relate to Alaska online drivers education. Is Alaska Online Drivers Ed For You? You risk some hefty fines and suspension of your license should you be caught without the mandatory insurance coverage. Should you get convicted for a DUI, then you face some serious consequences. These include serving some jail time of up to 30 days, a fine of $500 and license suspension for up to 90 days.